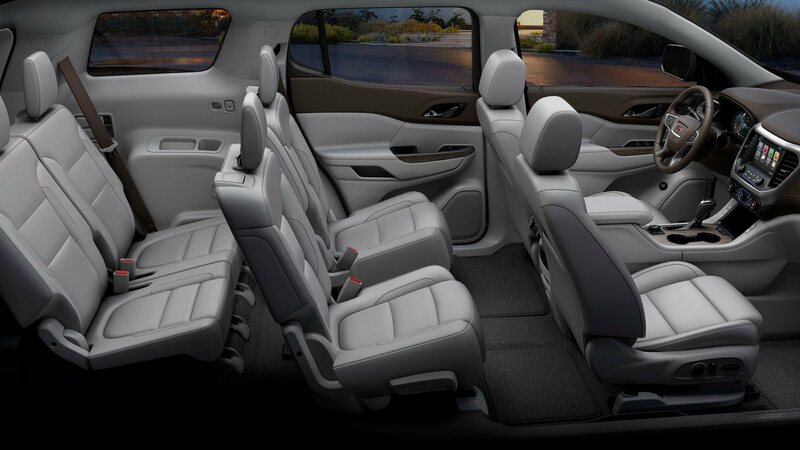 The 2018 Acadia continues its history of premium amenities and elegant construction. 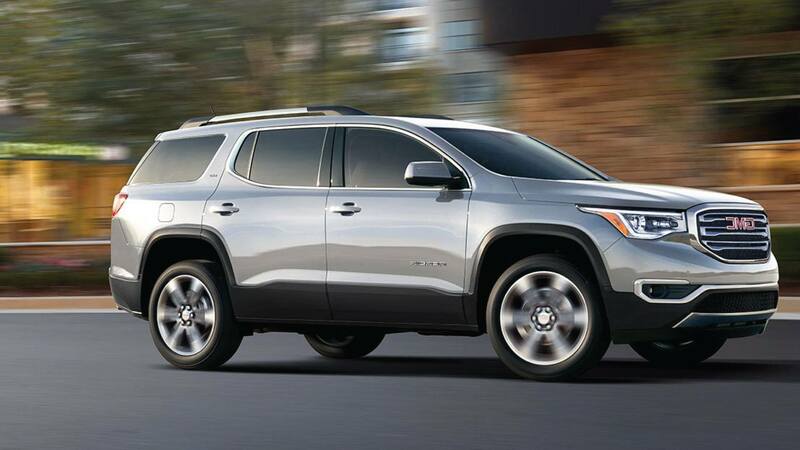 This mid-size SUV equips features designed for your on-the-go lifestyle. Available options, like the handy power liftgate and Smart Slide® second-row seats for a super accessible third-row, ensure your Acadia meets your needs. One look in the stylish and elegant interior is enough to appreciate the professional grade craftsmanship of this premium space. Real Aluminium trim, and contrast stitching with unique interiors on Denali and All terrain models compliment generous seating which was designed to be as functional and comfortable as it is stylish. 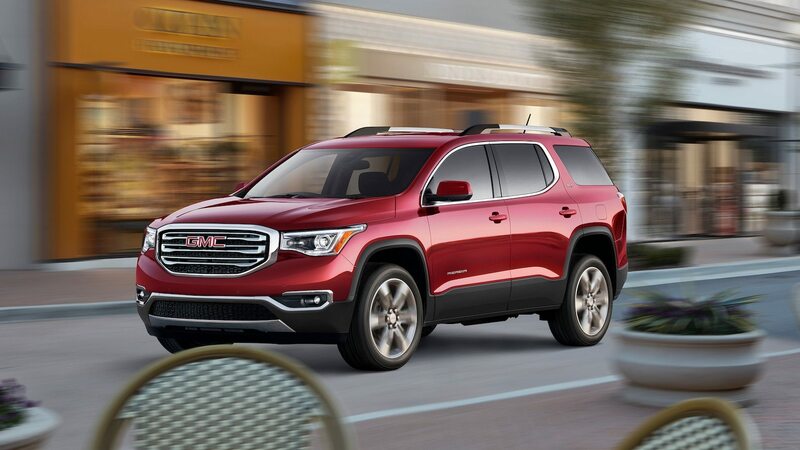 The 2018 Acadia comes in three exceptional models designed to serve your lifestyle. 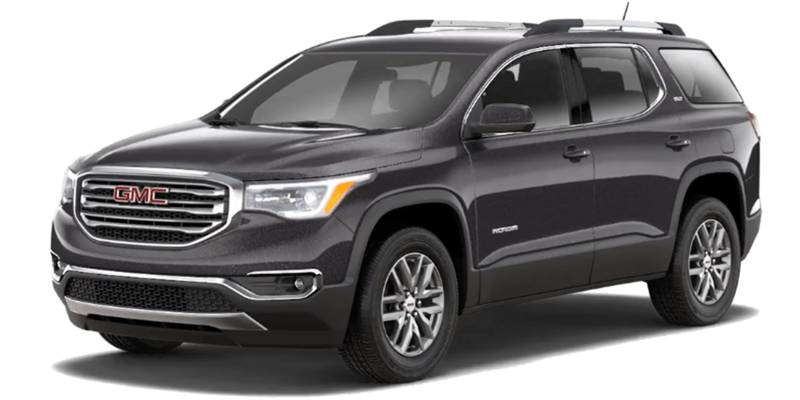 Choose between the luxurious Acadia Denali, the audacious off-road Acadia All Terrain, or the classic Acadia SLE-1 midsize SUV. Available seatings for 5,6 or 7 people with available 3rd row seat. Striking accents like the Sculpted Denali grille and chrome accents. 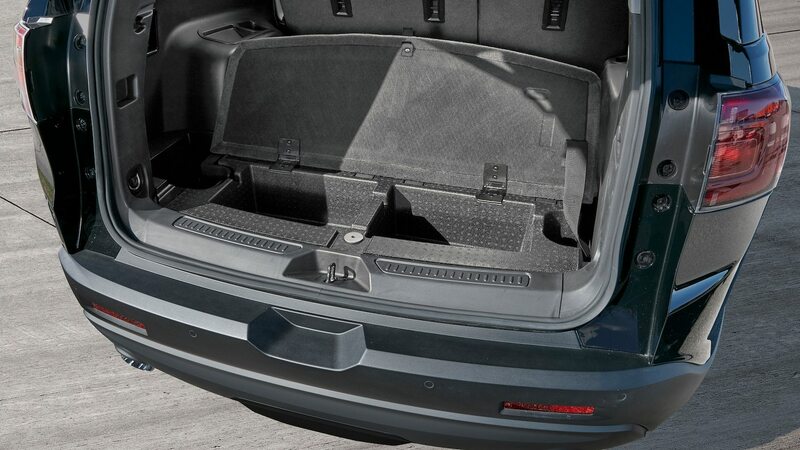 Hands-Free liftgate for easy cargo access. 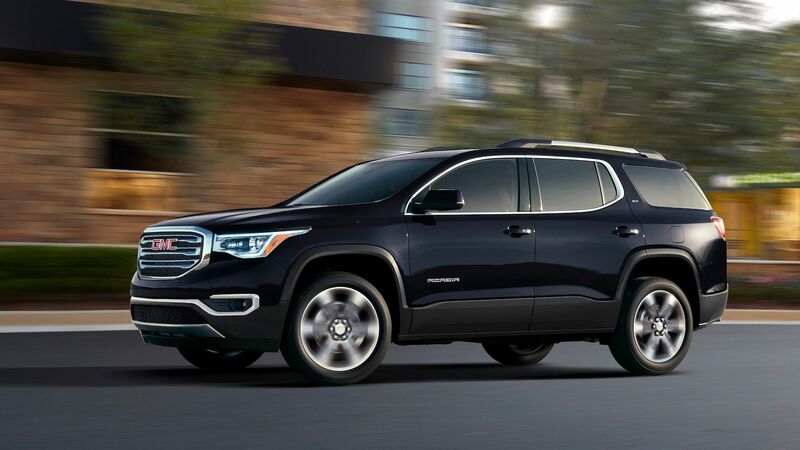 The 2018 GMC Acadia is a mid-size SUV packing advanced driving technologies to keep you connected. Explore the Denali, SLE-1 and All-Terrain models to find the configuration which best serves your needs. OnStar 4G LTE with built-in Wi-Fi® hotspot is available in all 2018 GMC Acadia models. Bring your wi-fi wherever you go. 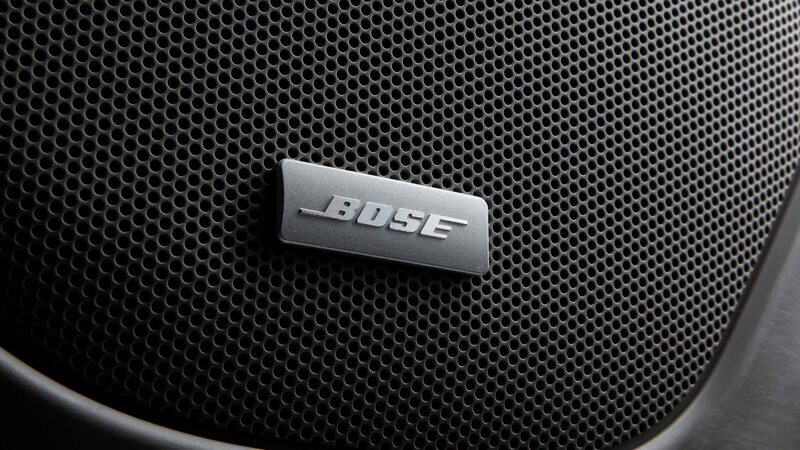 Keep your devices connected for an in-vehicle experience which is both customizable and familiar. This available feature reminds the driver with an audible and visible alert when the might forget something valuable in the second row. This alarm triggers if the second row doors are used just before a trip. 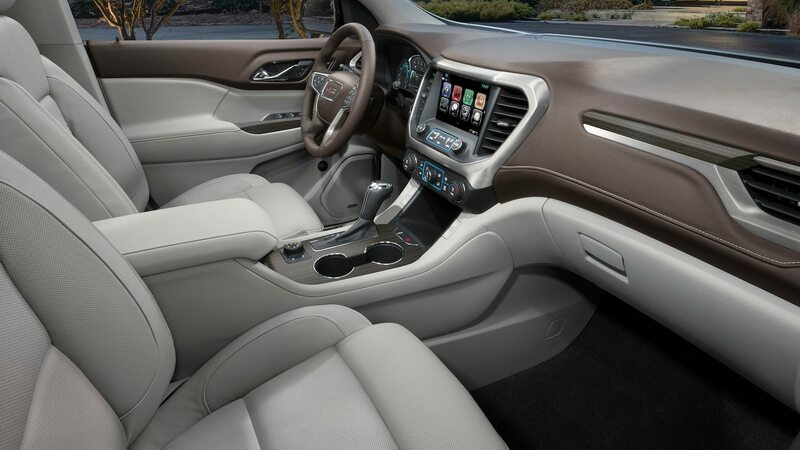 GMC offers the latest infotainment technology with a cutting-edge system that keeps it simple. Apple CarPlay™ and Android Auto™ allows you to connect with your favourite compatible smartphone and voice-recognition and touch-screen technology provides hassle-free access to your favourite Apps. 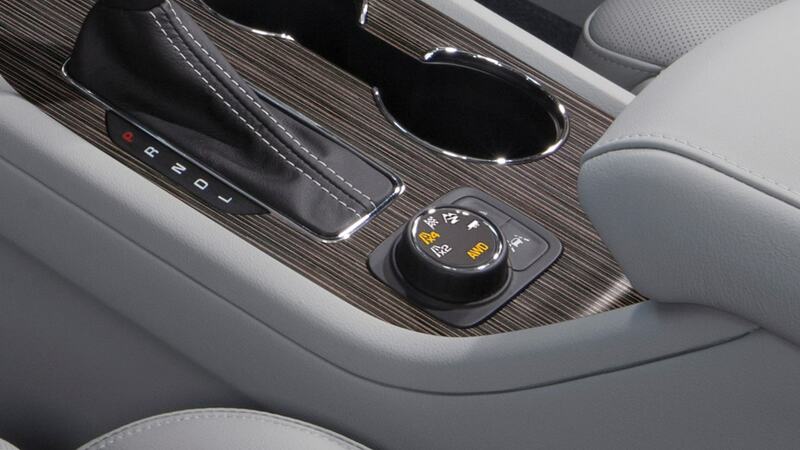 No matter what model you choose, the 2018 Acadia mid-size SUV boasts an array of advanced available safety technologies. A carefully arranged network of cameras and sensors help prepare you for the unexpected while other cutting edge technologies protect you and your passengers when the unexpected in unavoidable. Encourage safe driving habits in new drivers even when you can’t be with them. Teen Driver is a built-in mode which promotes safe habits by activating certain safety systems, enforcing preset speeds, alerting drivers when they should heed their speed, and generates a report card to help parents continue to coach their teens. Get a heads up when vehicles hang out in your blind spot. The available Side Blind Zone Alert system uses a an indicator on your side mirrors to let you know when there is a vehicle in your blind zone. If the turn signal is activated while a vehicle sits in your blind spot and extra warning will display to warn you not to change lanes. 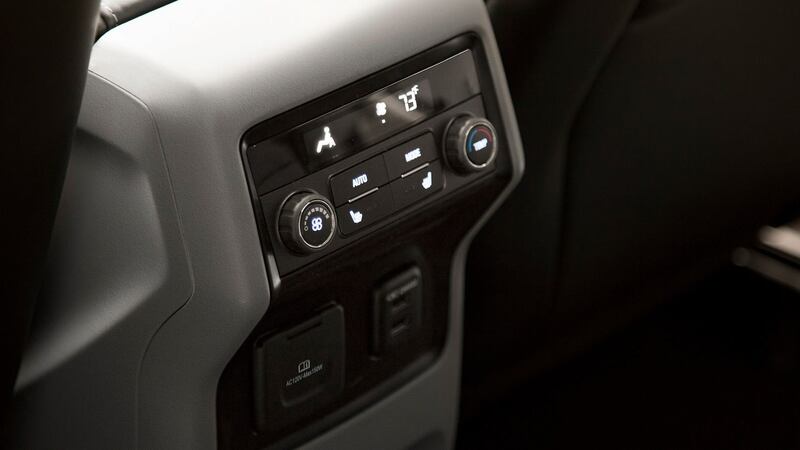 When backing up, this innovative available feature will alert you if moving vehicles are approaching your Acadia. This system uses radar sensors to detect vehicles before you see them so you can back up with more confidence. When you’re backing up your Acadia, avoid bumping into obstacles with the available Rear Park Assist. Ultrasonic sensors detect approaching objects and alert the driver with beeps that come in quicker the closer you get to the obstacle. When in reverse gear, the Rear Vision Camera displays a real-time image of the space behind your vehicle. This indispensable piece of tech helps you confirm the coast is clear before backing up. This award-winning safety feature works with the other airbags and the safety belts in your vehicle to provide a responsive and effective collision response for the driver and passenger in the front seats.